Turkey fryer blamed for house fire in McHenry Co.
A turkey fryer was blamed for a fire that destroyed a home in McHenry County. 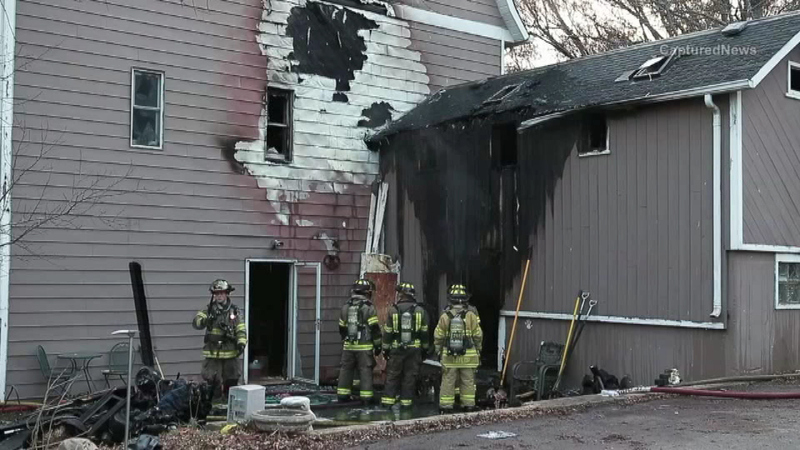 SPRING GROVE, Ill. -- A turkey fryer was blamed for a fire that destroyed a home in McHenry County. Firefighters were called to scene on the 6500-block of Johnsburg in far northweest suburban Spring Grove and found flames shooting through the roof of the home. The homeowner told crews he was heating up some cooking oil in a deep fryer when we left the room and fell asleep. A neighbor saw the smoke, ran in and woke him up.